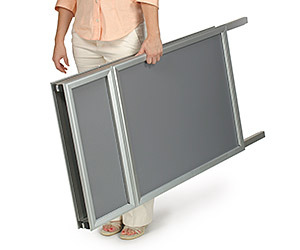 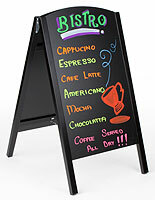 Which best selling sidewalk signs are available at the most affordable prices? 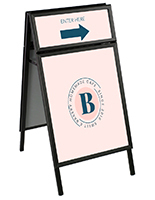 Our huge warehouse contains a-frame signs and other portable signs that are in stock, ready to ship today! 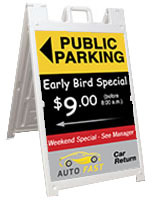 The durable construction of our quality oak wood, metal, or plastic a-frame signs means companies will enjoy years of use. 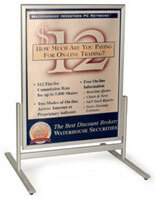 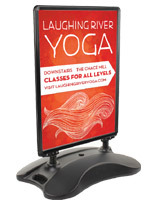 These popular sidewalk signs, sold at wholesale prices, give maximum value to every marketing dollar spent. 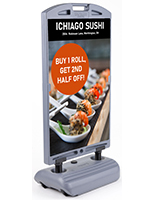 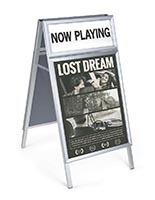 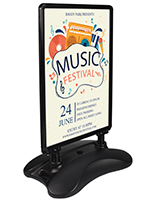 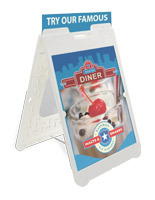 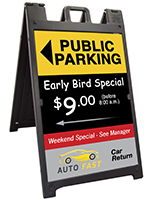 Use these single or double-sided portable signs in a restaurant, hotel, auto dealership, real estate office, theater, or school. 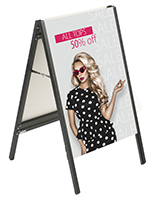 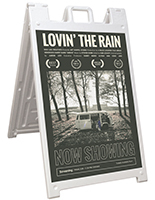 Whether built for poster inserts, changeable letter sets, dry or wet erase markers, or chalk, these quality message boards instantly attract the attention of passersby. 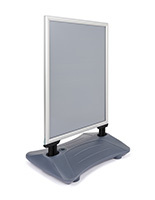 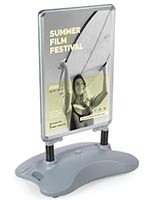 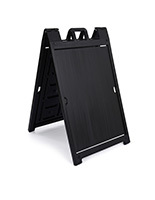 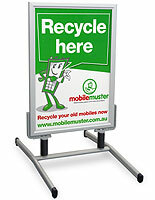 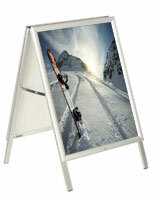 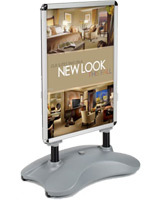 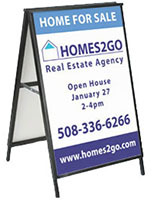 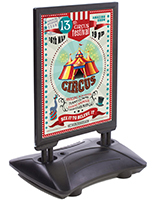 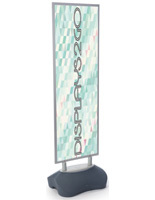 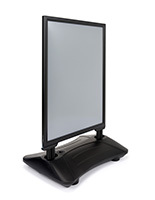 Check out Sidewalksigns2go.com's home page for these best selling marketing displays and 100s more!